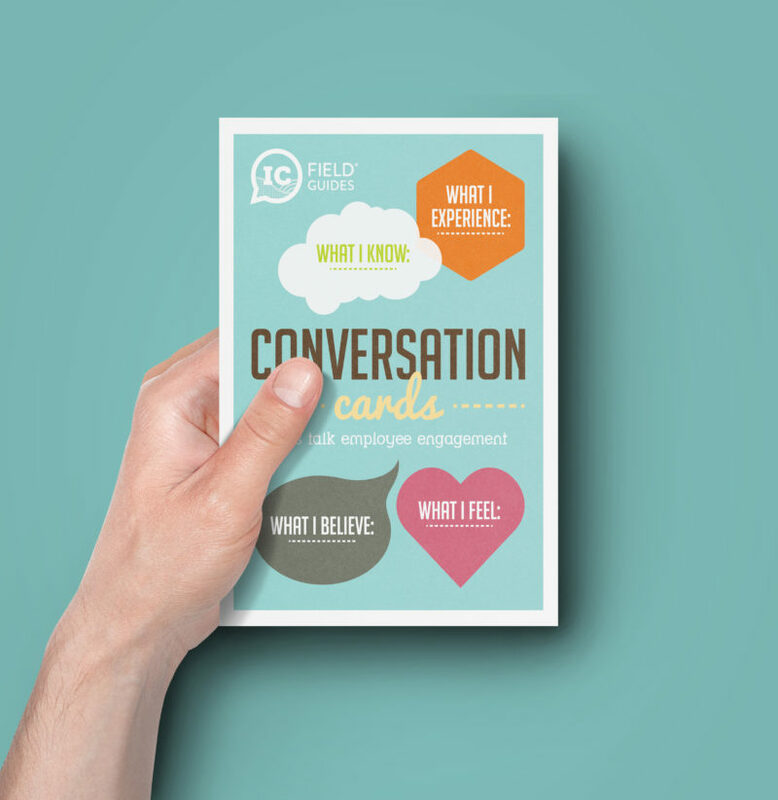 Stimulate productive debate and gain genuine insight into the level of employee engagement in your organisation with these quick and handy conversation cards. 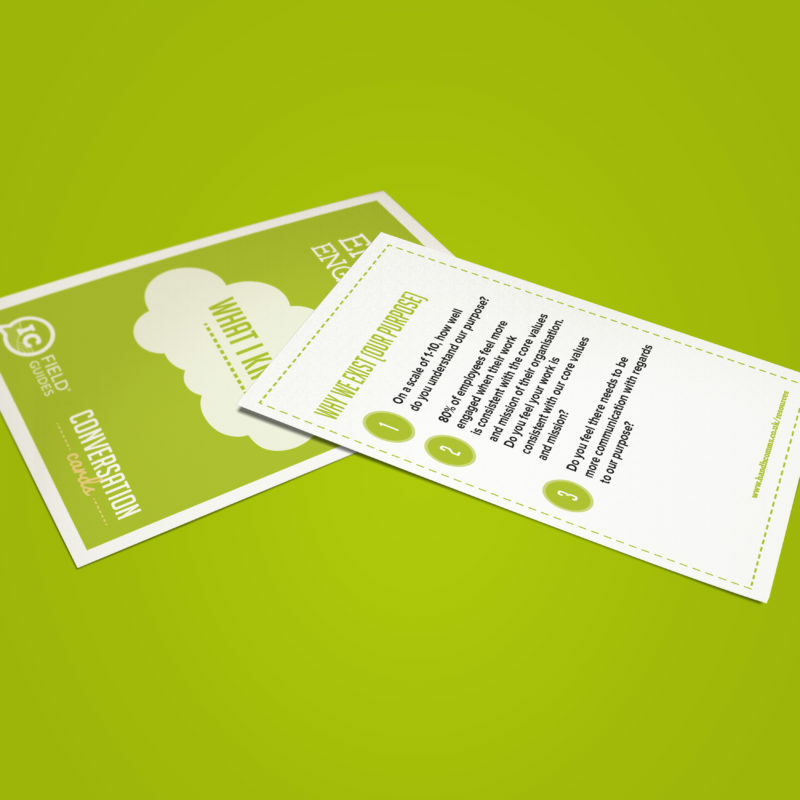 Our Conversation Cards are specially designed to give people managers and business leaders a genuine insight into the level of engagement within their organisations. Concise, succinct, yet incredibly enlightening, our Conversation Cards are built around the four pillars of employee engagement (What I Feel, What I Experience, What I Believe and What I Know) and allow for an unparalleled understanding of employee perceptions of engagement, benchmarked against industry standards taken from the latest research and data. 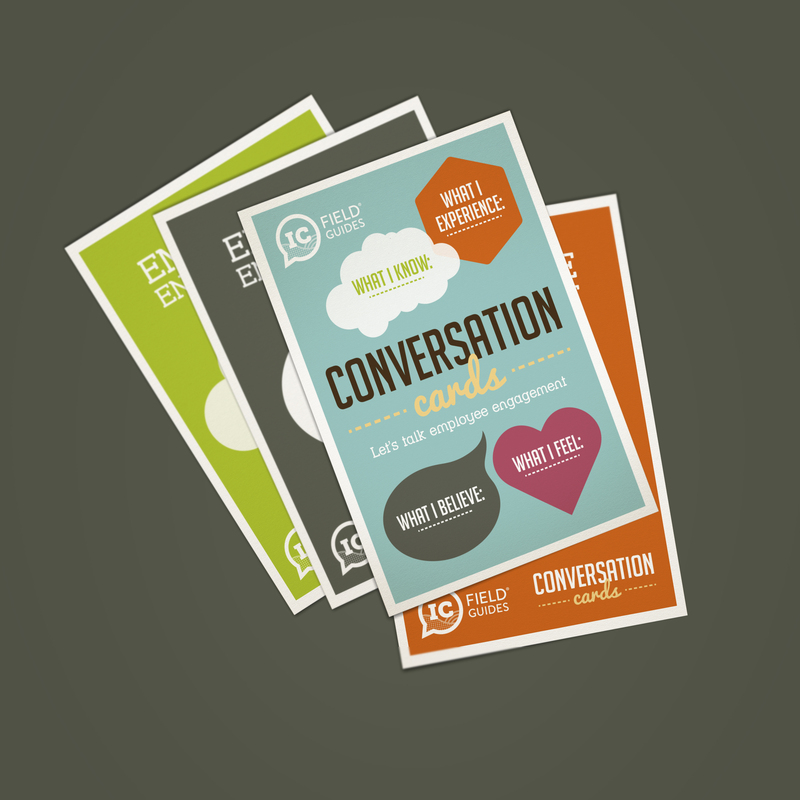 Designed to support you in having collaborative, engaging conversations with your employees, each Conversation Card contains three questions based around the four pillars of employee engagement, which you can tailor according to the particular theme you want to explore. ‘Is there anything that your senior leaders/managers can do to help you understand more about how your contributions are enabling us to achieve our goals?’. The Conversation Cards will help you to stimulate effective discussion and debate about what matters most in your business. And if you haven’t got the time for an extended conversation, not to worry – just limit the number of questions you ask! Did you know that just 24% of global employees are highly engaged? Or that 44% of employees don’t feel senior leaders are providing clear direction about where their organisation is headed? 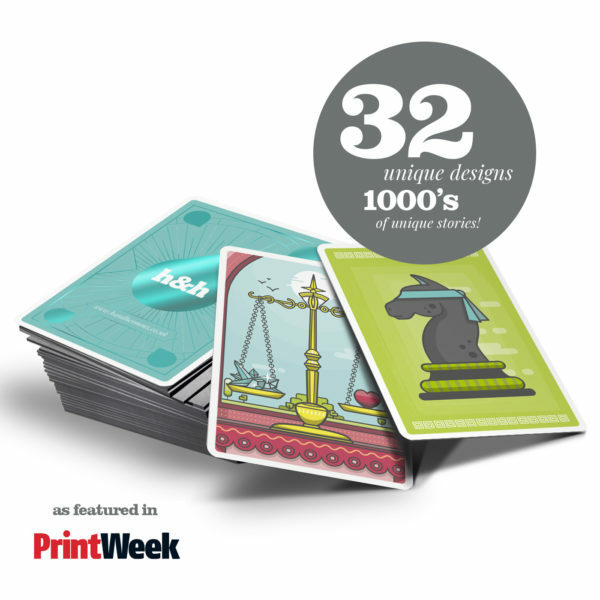 Or even that – prepare for a double-take – companies with engaged employees outperform those without by 202%? If you didn’t, now you do, and we’ve compiled even more surprising and thought-provoking facts for you in our IC Field Guide! 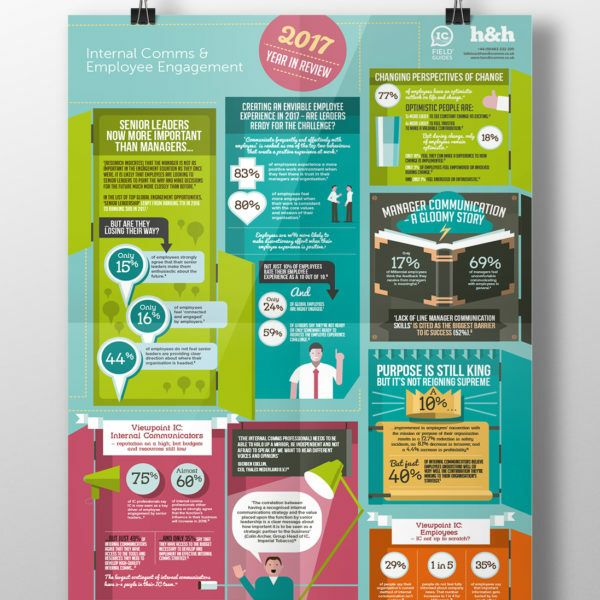 The world of internal communications and employee engagement has come a long way since the landmark study undertaken by MacLeod and Clarke back in 2009. And in the cut-and-thrust of day-to-day firefighting, it can be tough to keep on top of what’s happening in the field – a field that’s changing faster than you can say ‘where’s my megaphone?’. The good news is you don’t need to trawl through reams and reams of studies, research and data to stay up-to-date, as we’ve done the hard work for you! 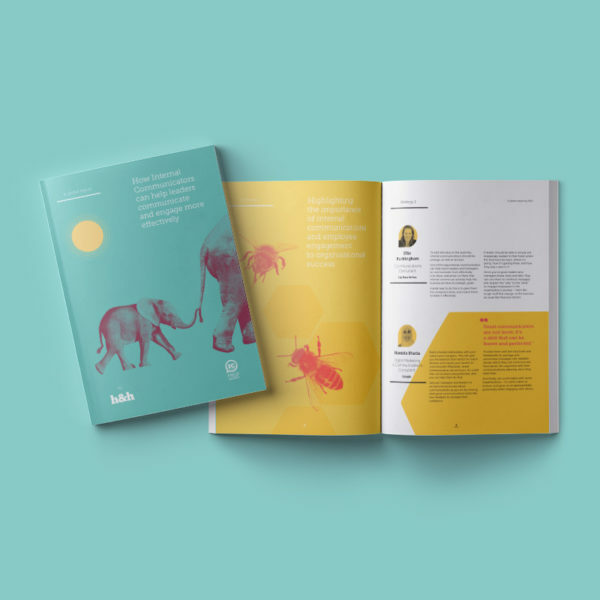 Featuring insights from 50 global internal communications experts, this brand-new report is a golden melting pot of insights, advice and best practice to help you transform your senior leaders and managers into exceptional communicators. This report brings together the very best in advice, ideas inspiration and insights to form a must-read resource for any IC professional looking to transform leadership communication success in their organisation. Take a look inside here.